Last week the Tickled to Tangle ‘It’s a String Thing’ challenge reached one year old. So this challenge is the start of the second year and as a fairly new entrant I am hoping that I’ll manage to enter all or most of this year’s challenges. This week the string is 054 by Hope Martin. The tangles cover most of the letters in ‘Hope’ and are Hurray!, Onamato, Planateen and Pokeleaf. Onamato was a new tangle to me and I enjoyed working with it. The old brain couldn’t handle colouring Hurray’s petal shapes alternately for some reason today and so I coloured them all for a change! 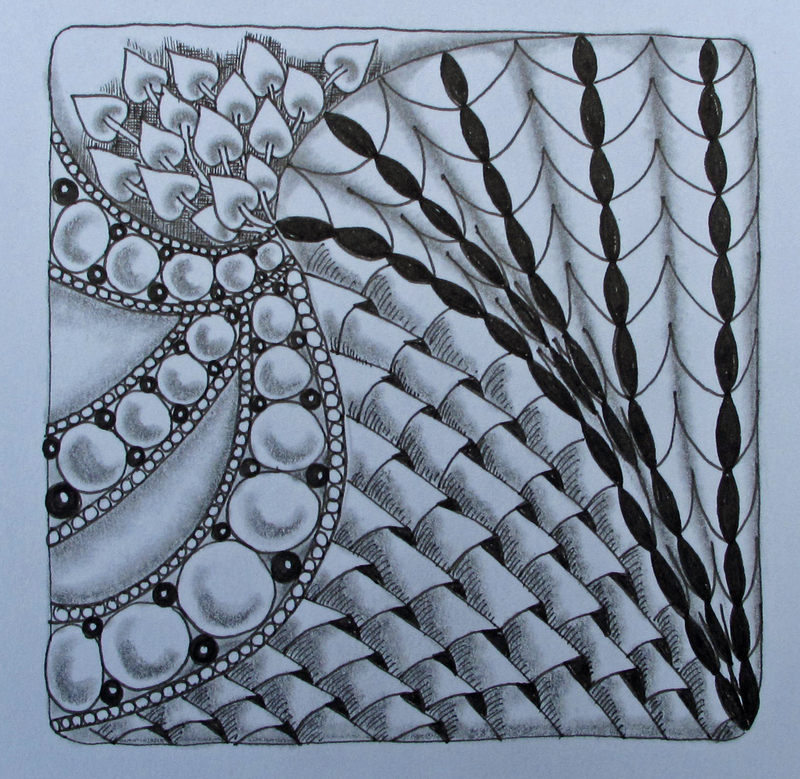 This entry was posted in Zentangle. Bookmark the permalink.